academic merit and experience. There are total no of vacancies are 746 posts . 164 posts for SC, 45 posts for ST, 75 posts OBC A , 52 posts for OBC B reserved and 410 posts for general category candidates. Only those female who have completed there GNM training course from a recognized Indian nursing council they will be selected for Staff nurse posts. After the selection these staff nurse may be appointed at any district of West Bengal on consolidate remuneration rs 17220 per month salary. After the screening of the application a merit list will be prepared from eligible candidate based on scoring academic qualification starting from secondary onward after that short list candidates will be called for document verification merit list will be prepared district wise for appointment. Its expected that final merit lists / cutoff lists for staff nurse posts will be published at the end of this month. All candidates who applied for staff nurse posts are Advised to stay in touch with Mexam.IN for complete details of Merit lists. 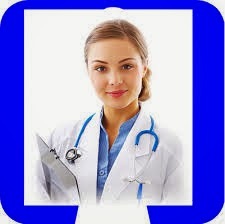 Cutoff marks and all related news of Medical Job in state of west Bengal.